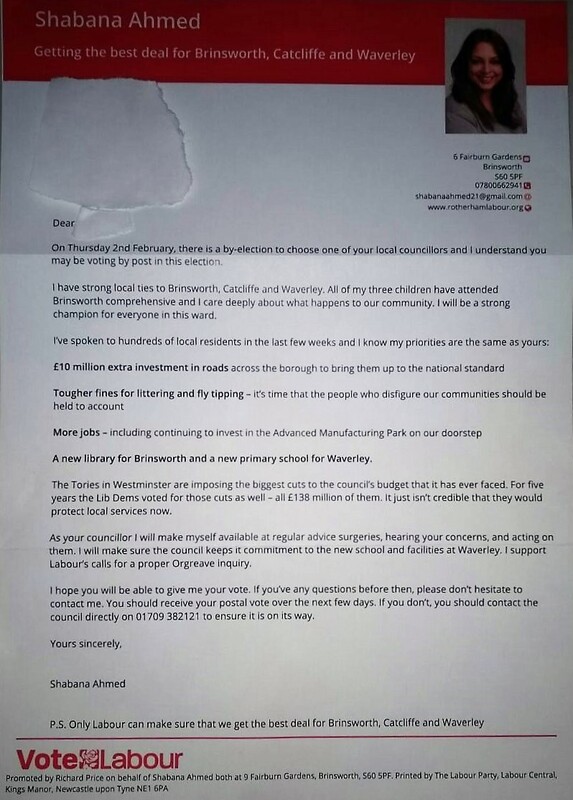 Along that theme, see the latest letters the Labour candidate is sending out, claiming that her address is in Brinsworth. Also, there is no such address as 9 Fairburn Gardens in Brinsworth (as per one of the imprints). 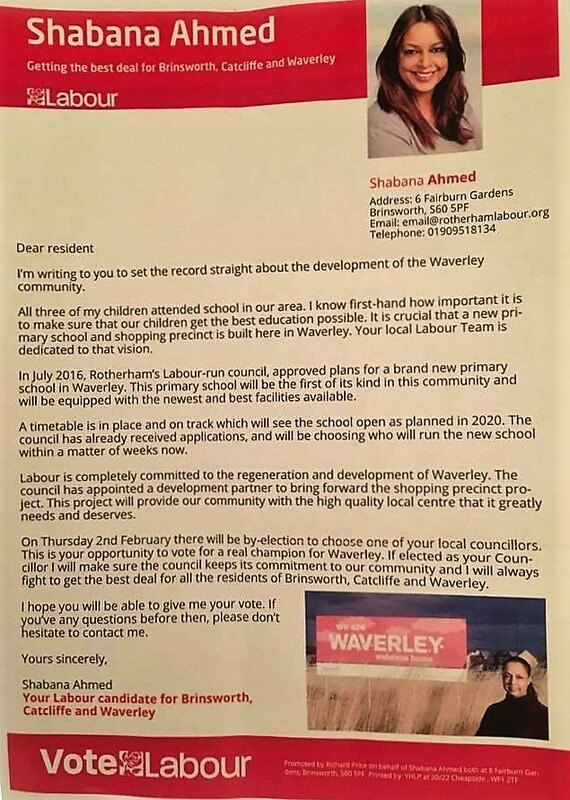 That street finishes at number 7. 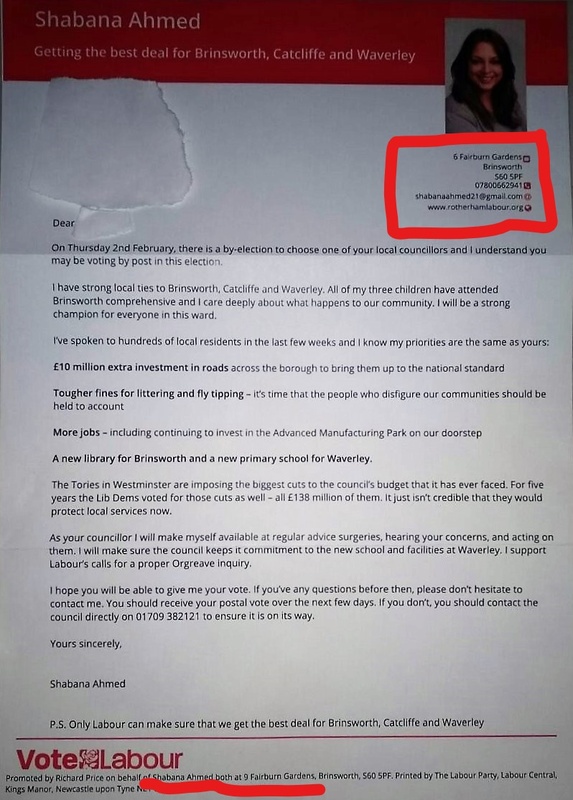 This entry was posted in Abuse of power, Corruption, Councillor Greed, Greedy Councillors, Labour Chicanery, Labour Hypocrites, Labour Party and tagged Brinsworth & Catcliffe Ward, Jahangir Akhtar, Labour Chicanery, Maltby, Momentum, Reg Littleboy, Richard Price, RMBC, Rotherham Metropolitan Borough Council, Scum Labour, Shabana Ahmed, Whiston by Rik. Bookmark the permalink.